With this good weather continuing in Ireland, many are tempted to go for a swim. 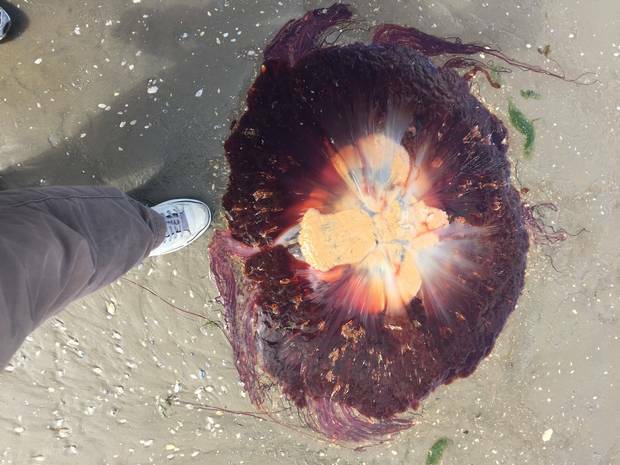 However, last year Ireland had two of the most dangerous jellyfish species coming in around the coast – the Portuguese man o’war, and the Lion’s Mane jellyfish. And if you are stung, new medical advice is to apply vinegar! 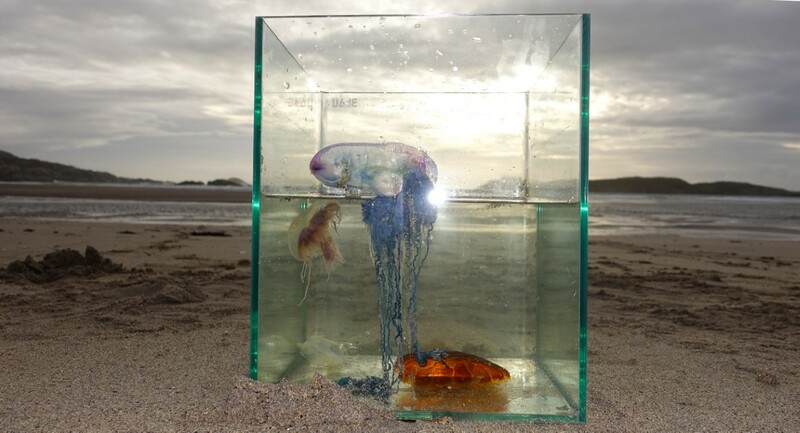 For nearly a decade, the standard practice in Ireland for treating stings by the Portuguese man o’ war jellyfish (Physalia physalis) is to rinse with seawater and then apply ice. However, in a new study published last week, scientists from NUI Galway have found those measures are actually among the worst things to do if stung. Collaborating with jellyfish sting experts from the University of Hawai‘i – Mānoa, the NUI Galway scientists re-evaluated which commonly recommended first aid actions (such as rinsing with seawater) are the most effective for Physalia stings. Their results, published in the journal Toxins, overturn the current advice, and show that the best first aid is to rinse with vinegar, to remove tentacles and then immerse in 45°C (113°F) hot water (or apply a hot pack) for 45 minutes. There are two species of Physalia, the Portuguese man o’ war (Physalia physalis) which occurs in the Atlantic, and the bluebottle (Physalia utriculus) which occurs in the Pacific. Both species are among the most recognisable stinging jellyfish with their bright blue tentacles and colorful inflated floating sails. Just last September, armadas of these painful stingers came ashore in Ireland. The Portuguese man o’ war is not a true jellyfish, but a siphonophore, a closely-related group of colonial animals. But although man o’ war stings are common around the world, there was little agreement on the best first aid responses to such injuries until now. Dr Tom Doyle and PhD student Jasmine Headlam at NUI Galway collaborated with Dr Christie Wilcox, lead author of the paper and postdoctoral fellow with the Pacific Cnidaria Research Laboratory at the University of Hawai‘i, and her colleague Dr Angel Yanagihara, assistant research Professor at the University’s Pacific Biosciences Research Center. Dr Wilcox and Dr Yanagihara first examined box jellyfish, some of the deadliest jelly species in the world, finding that common practices such as applying urine or scraping away tentacles only make stings worse. Applying these new rigorous testing methods to man o’ war stings was the obvious next step, in which they collaborated on with Dr Doyle at NUI Galway. The results from opposite sides of the world aligned beautifully. The venom delivered by a man o’ war sting was lessened if the sting site was rinsed with vinegar, regardless of which species of Physalia was used. The scientists showed that vinegar inhibited the animals’ stinging cells from firing, thus safely removing tentacles and stinging cells that can remain adhered to the skin and continue to deliver venom over time. Meanwhile, PhD student Jasmine Headlam is already working on her next research project.